The enterprise data storage marketplace is poised to become a battlefield. No longer the quiet backwater of cloud computing services, the focus of this global transition is now going from compute to storage. An overview of recent storage market history is needed to understand why this transition is important. 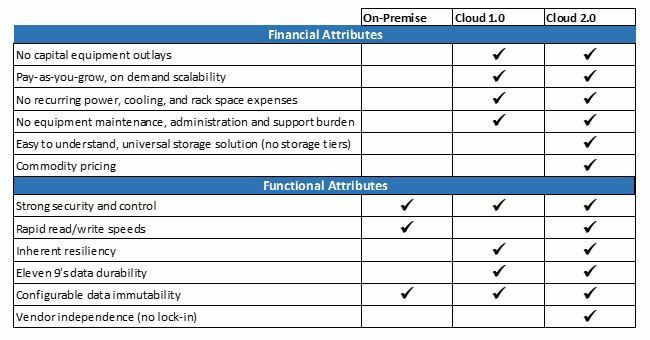 Before 2007 and the birth of the cloud computing market we are witnessing today, the on-premise model hosted in large local data centers dominated enterprise storage. Key marketplace players were EMC (before the Dell acquisition), NetApp, IBM, HP (before they became HPE) and Hitachi. Company employees managed information technology resources (compute, storage, network) and companies tightly controlled their data in facilities they managed. Data security, legal and regulatory concerns, for the most part, were very localized. The data itself was highly structured (i.e., Relational Databases and SQL) in support of serially executed mostly static business processes. This structured approach worked because consumer segments in most industries were homogeneous, segregated and relatively static. Companies also felt relatively safe in their industry vertical due to the high financial and operational barriers prospective new competitive entrants would face. 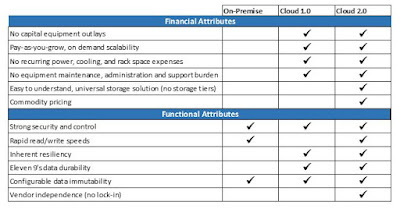 A continuing requirement to manage multiple storage options and pricing tiers. As if this was not challenging enough, vertical industry barriers were shattered by digital transformation and the elimination of significant startup capital investment requirements. Always evaluate the solution's scalability, durability, immutability, and legal compliance capabilities. Change is happening now so don't get fooled!